Using a debit card just got a whole lot easier! Debit cards offer easy access to tax-advantaged benefits and should improve the overall experience of the employee. 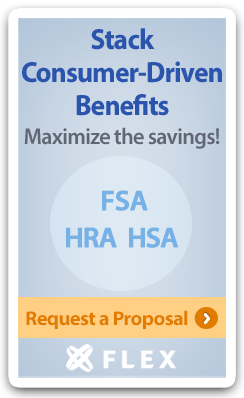 Yet sometimes, substantiating debit card charges on a Health Care Flexible Spending Account (FSA) or Health Reimbursement Account (HRA) can be frustrating and time-consuming. As a benefits administrator for 30 years, Flex has been working hard to solve this problem for participants. Flex is excited to announce that we now have the ability to access claims information electronically from most medical, dental, and vision carriers! The claims information can be used to automatically substantiate matching debit card transactions and provide a seamless experience for the participant. This new feature will reduce and often eliminate the need for participants to provide additional paperwork, and it will deliver a far better and more convenient process for employees. We’ve put together a free, 30-minute informational webinar to introduce our latest technology enhancement, explain how it works, and show you how it can make life easier for your clients and their employees.